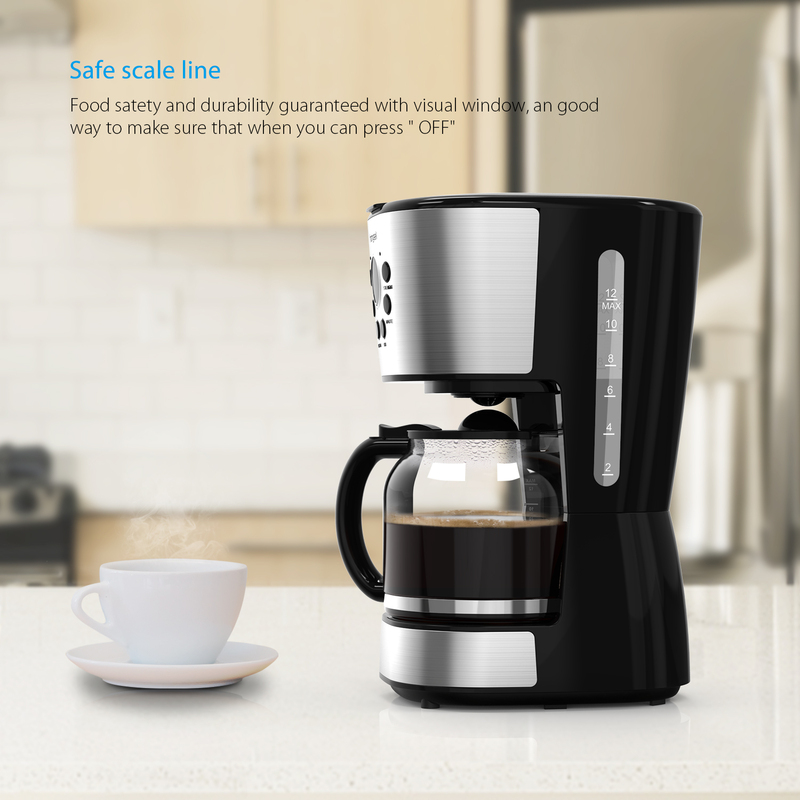 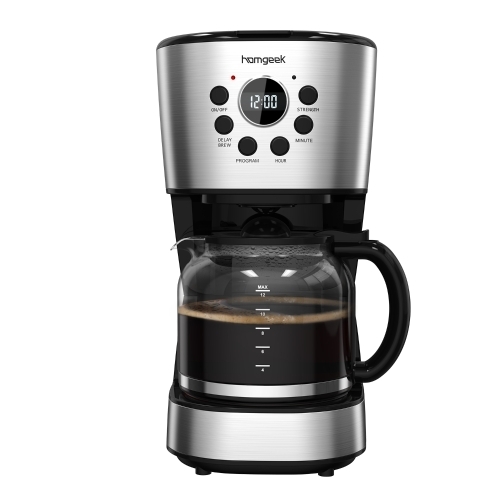 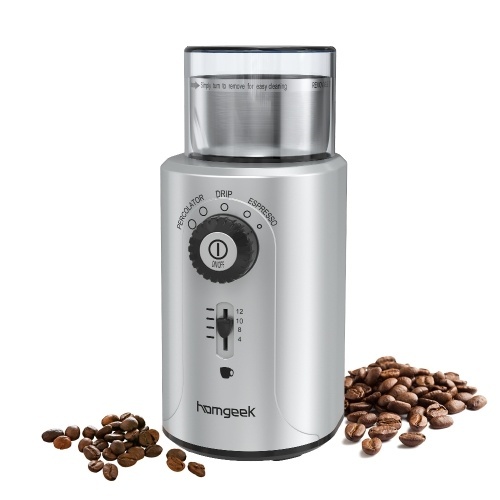 With the distinctive modern design, this coffee maker features a nylon filter that is easy to clean, a heating pad keeps the coffee nice and hot, a control panel with 6 push buttons and LCD screen, an anti-drip system allows you to remove the carafe away at any time, program function allows you to set it up to 24 hours in advance. 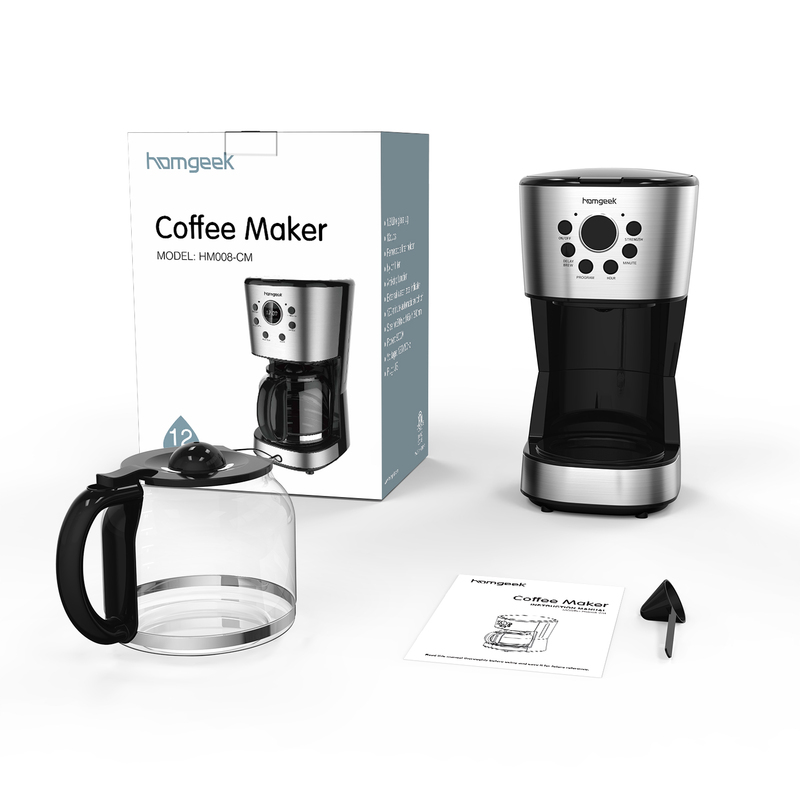 Really a nice home appliance that allows you to have your coffee ready when you wake up and easy to make plenty of the coffee drinks you love at home. 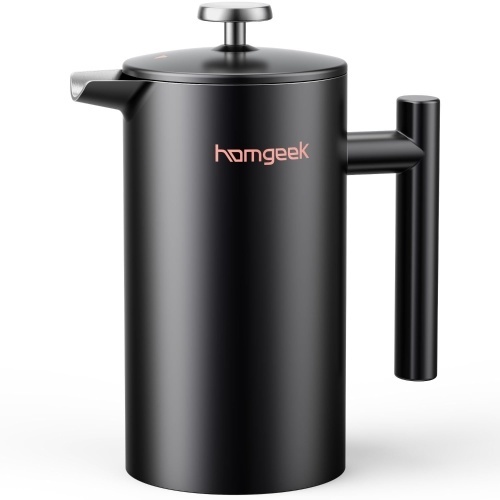 Water Gauge: transparent water tank with water level indicator. 30 Seconds Anti-drip Function: allows you to remove the carafe away at any time as you want. 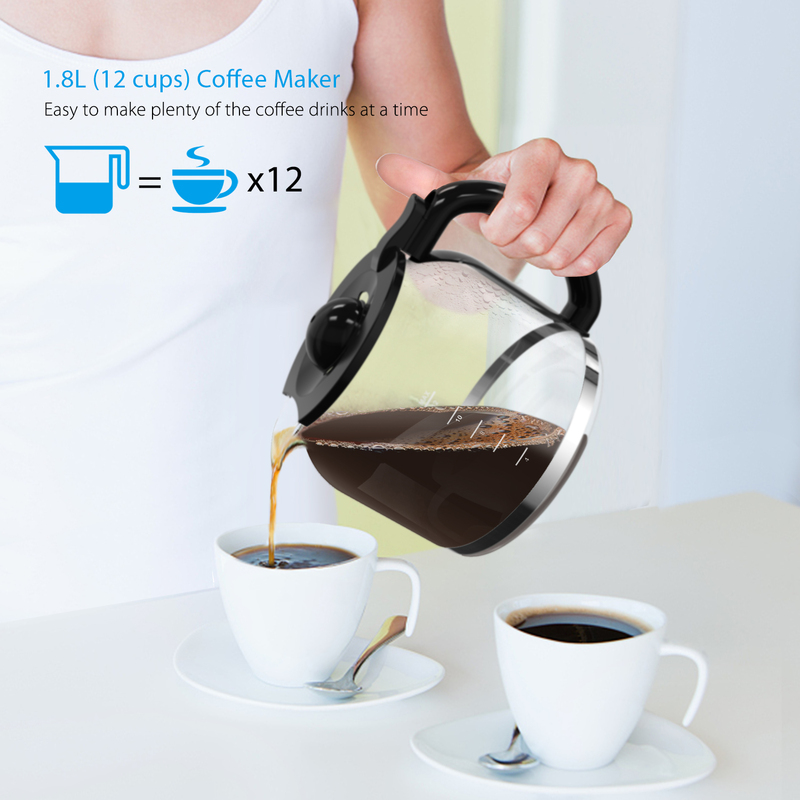 1.8L (12 cups) Coffee Maker: easy to make plenty of the coffee drinks at a time. 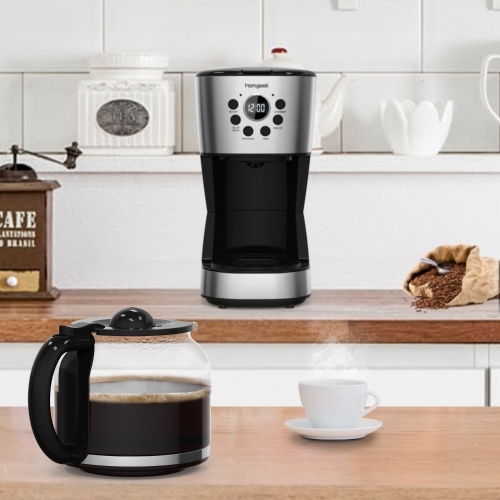 Auto Switch off: the coffee maker will shut off automatically after running for 40 minutes (include brewing time and keep-warm time). 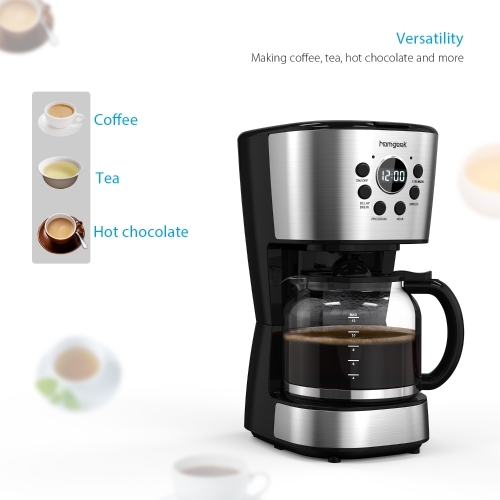 LED Display: a 36*16mm LED screen to display data clearly. 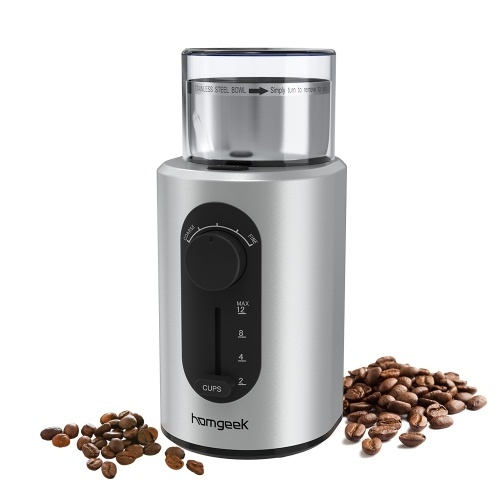 Push Button Control: 6 functional buttons(ON/OFF, DELAY BREW, PROGRAM, STRENGTH, MINUTE, and HOUR) to control how you make the coffee. 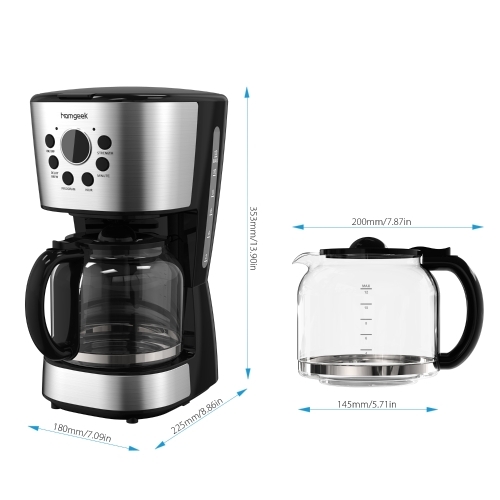 Easy Cleanup: the glass carafe and funnel are dishwasher safe. 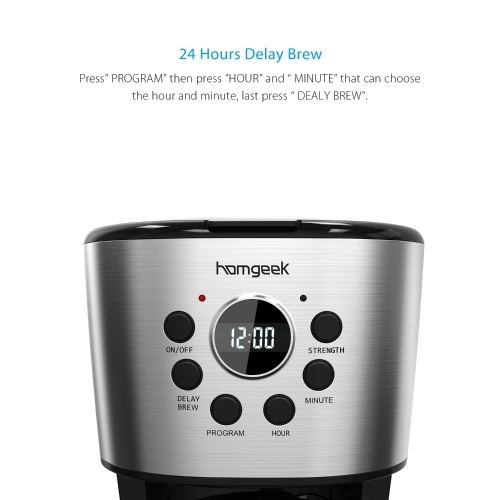 Programmable Timer: preset the coffee brewing time, and have your coffee ready when you wake up every morning. 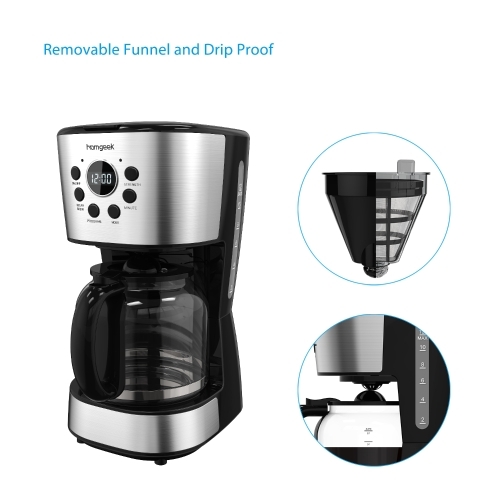 Removable Funnel and Nylon Filter: easy to clean. Boil-dry Protection: safe to use. Versatility: making coffee, tea, hot chocolate and more.